This most remarkable man was a Musoga. Born about 1836 in Bunya County in Busoga, the country lying across the Nile from Buganda, he, together with his mother, was captured by a raiding party of Baganda belonging to the Otter Clan and, at a very early age, carried off to Buganda as a slave. His captors sold him to a member of the Edible-Rat (Musu) Clan, named Magatto, an uncle of the Chancellor Mukasa, who seems to have treated the little fellow as a member of the family rather than as a slave. As often happened in such cases he was, as he grew up, grad¬ually treated as a member of the clan and as a free man. Possibly it was in recognition of this that he changed his name from the original Wante to Kalemba. After the death of his adopted father, Kalemba remained for a time with Magatto’s brother, Buzibwa, but, on attaining manhood, he left and took service with Ddumba, the county chief of Ssingo. In this service he displayed such loyalty and trustworthiness that Ddumba came to rely upon him more and more until he became, in fact if not in name, head of the chief’s household and supervisor of all the other servants. On the death of Ddumba, his brother Kabunga who succeeded to the chieftainship seems to have realized the treasure he had in Kalemba, for not only did he confirm him in his many duties but gave them official recognition by creating for him the post of Ekirumba, so called in memory of Ddumba. As holder of this office, Kalemba became known as the Mulumba. My father (almost certainly Magatto, his father by adoption) had always believed that the Baganda had not the truth, and he sought it in his heart. He had often mentioned this to me, and before his death he told me that men would one day come to teach us the right way. These words made a profound impression on me and, whenever the arrival of some stranger was reported, I watched him and tried to get in touch with him, saying to myself that here perhaps was the man foretold by my father. Thus I associated with the Arabs who came first in the reign of Ssuuna. Their creed seemed to me superior to our superstitions. I received instructions and, together with a number of Baganda, I embraced their religion. Muteesa himself, anxious to please the Sultan of Zanzibar, of whose power and wealth he had been given an exaggerated account, declared that he also wanted to become a Muslim. Orders were given to build mosques in all the counties. For a short time, it looked as if the whole country was going to embrace the religion of the false prophet, but Muteesa had an extreme repugnance to circumcision. Consequently, changing his mind all of a sudden, he gave orders to exterminate all who had become Muslims. Many perished in the massacre, two or three hundred managed to escape and, with Arab caravans, made their way to the Island of Zanzibar. I succeeded with a few others in concealing the fact of my conversion, and continued to pass for a friend of our own gods, though in secret I remained faith¬ful to the practices of Islam. That was how things stood when the Protestants arrived. Muteesa received them very well; he had their book read in public audience, and seemed to incline to their religion, which he declared to be much superior to that of the Arabs. I asked myself whether I had not made a mistake, and whether, perhaps, the newcomers were not the true messengers of God. I often went to visit them and attended their instructions. It seemed to me that their teaching was an improvement on that of my first masters. I therefore abandoned Islam, without however asking for baptism. Several months had elapsed when Mapeera (Lourdel) arrived. My instructor, Mackay, took care to tell me that the white men who had just arrived did not know the truth. He called their religion the ‘worship of the woman’; they adored, he said, the Virgin Mary. He also advised me to avoid them with the greatest care. I therefore kept away from you and, probably, I would never have set foot in your place if my chief had not ordered me to supervise the building of one of your houses. But God showed his love for me. The first time when I saw you nearby, I was very much impressed. I talked with those who had placed themselves under instruction and questioned them on your doctrine. What they told me was just the contrary of what Mackay had assured me. Then I felt strongly urged to attend personally your catechetical instructions. God gave me the grace to understand that you taught the truth, and that you really were the man of God of whom my father had spoken. Since then, I have never had the slightest doubt about the truth of your religion, and I feel truly happy. Kalemba’s actual enrolment as a catechumen seems to have taken place on 31 May 1880. (a) Bwamunnyondo Taakulaba: She was a Muganda of the Ndiga (sheep/Ovil) clan in the family of Muguluka. When Kalemba’s master known as Kaabunga succeeded his father Ddumba as county chief of Ssingo, he gave Bwamunnyondo, Kaabunga’s widowed step-mother, to Kalemba Mulumba to be his wife. When Mulumba embraced Christianity, he separated with Bwamunnyondo without fear of annoying his master Kaabunga, to whom Mulumba was the Assistant. But he gave out some property to support her for a considerable length of time. Bwamunnyondo went back to his father Muguluka in Buddu County. She had been a young lady, but her beauty had faded away with age. Thus she named herself “ATAAKULABA,” which means “he or she who never saw you in your youth, cannot understand your former beauty.” Later Bwamunnyondo became a catholic and was baptized and given the name Berta at Villa Maria Parish in 1907. She died a very pius and devoted catholic in 1932. (b) Tibajjukira: This was a Musoga of Mulumba’s tribe (a Musoga). When Kalemba Mulumba became a catholic, he separated from her according to the Christian law as he had done to Bwamunnyondo. He also surrendered some property for her upkeep. She named herself ”TIBAJJUKIRA,” which means “the Christians do not remember the good done to them.” She also later became a catholic, but Matthew Kirevu, the eyewitness and the informer did not remember her Christian name. Tibajjukira died during the Muslim/Christian wars of 1888. (c) Kikuwambazza or Kikuwa: was a Muganda, with whom Kalemba Mulumba got properly married in the Catholic Church. Both were faithful to each other. Kikuwa soon embraced the catholic religion. By the time Mulumba died for his religion they had two children, a girl Julia “Baalekatebaawudde” (they left before identifying) who was 4 years and a boy who was about 2 years of age. Kikuwa was a pius and devoted Catholic. When her husband was arrested for being a Christian, she voluntarily gave up herself to the executioners to be killed for her religion. But Mbugano, the leader of the Mityana executioners’ expedition refused, saying, “We do not kill women.” Instead one of the executioners wanted take her for his wife. But she totally refused. After the martyrdom of her husband, Kikuwa lived a very pius, devoted and self-sacrificial life. Though Mulumba had had many wives from whom he separated remaining with only one, Kikuwa, still the priests hesitated in giving him the sacrament of Baptism. They had fear that Mulumba would bring back some of his former wives after receiving baptism. This was revealed to Mulumba before receiving that sacrament. On hearing that, the priests resolved to baptize him. Kalemba Mulumba was baptized on Pentecost Sunday 28th May 1882 and was given the name MATTHIAS. When Mulumba embraced the Catholic faith, he set free all his servants and treated them in the best way possible, allowing them all full liberty for their well-being and prosperity. Out of humility Mulumba often carried his luggage on journeys instead of giving it to his servants to carry it, an act that was considered very humiliating. When the Catholic Missionaries had fled Uganda to Tanganyika (Tanzania), from November 1882 to July 1885, Matthias Mulumba was allocated a big part of the country for evangelizing. He was in charge of evangelizing the whole Buganda excluding the palace, Kampala and the neighbourhood. His headquarters were at Mityana in Ssingo county, a distance of 42 miles or 64 kilometers from Kampala (the capital). 1. NSEEGE: Near Bbowa Buzinde in Bulemeezi county, about 60 miles or 96 kilometres from Mityana. 2. KIYEGGA (MUKONO): This was 65 miles or 104 kilometres from Mityana. 3. MASAKA (Headquarterss of Buddu county): 100 miles or 160 kilometers (short-cut) from Mityana, but 120 miles or 192 kilometres from Mityana via Kampala. To reach out to each of these centres, Mulumba had to travel on foot all the way from Mityana. He was working very hard to spread and stabilize Catholicism in all these centers. Although he was extremely busy with evangelization work, he never neglected or abandoned his work as a chief. It was never heard of that Mulumba ever failed to carry out his duties as a civil servant. During the time of Lent Mulumba used to fast the whole day, and even at supper he used to take very little food. He worked vigorously and unceasingly almost the whole day. At other times, i.e. outside Lenten period: on Wednesdays, Fridays and Saturdays of every week, Mulumba did not eat meat and very often on those days he would fast. 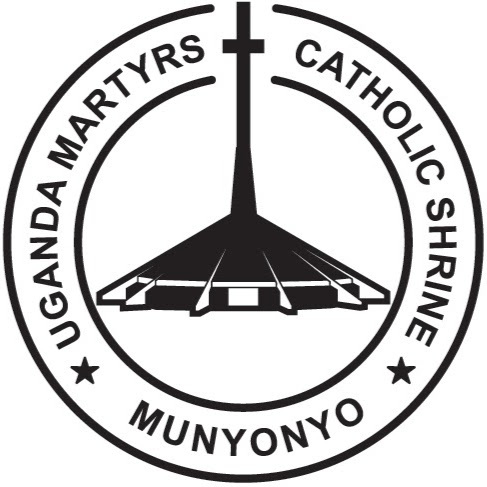 When the storm of persecution broke, Matthias was at Mmengo with his chief, who had the task of rebuilding the royal palace, des¬troyed by fire in February. Because Mulumba had sent away his other wives and retained only one for God’s Sake, he was brought to the Katikkiro’s (Prime Minister) tribunal on Wednesday 26th May 1886. ‘Is it because I am thin, or because of my religion that I have been brought before you?’ asked Matthias. The Katikkiro became more furious and ordered the executioners, Tabawomuyombi and Lukowe in particular to take Mulumba to Namugongo to be killed in the cruelest manner. On reaching Old Kampala, and for fear of his being pardoned by the King, Mulumba told the executioners: “Why do you take me all the way to Namugongo as if there is no death here, kill me here.” Then he said to Luke Baanabakintu, ‘Au revoir, my friend. We shall meet again in Heaven.’ ‘Yes, with God,’ answered Luke. The executioners were annoyed, took Mulumba a little distance into the jungle of elephant grass and proceeded to butcher him on the Spot, employing every refinement of cruelty of which they were capable. They cut off his arms at the elbows, then cut off his legs at the ankles and knees. Finally, they cut off strips of flesh from his back and roasted them before him. The executioners used skillful means of stopping the bleeding so that he could stay longer in pain and poor Mulumba was left there a victim to be devoured by vouchers, wild animals, dogs, insects etc. But he suffered quietly without any complaint; only one word came repeatedly to his lips, the invocation, ‘Katonda! Katonda! (My God!, My God! )’, and for three days and three nights he lay there mortionless, until he died. Mulumba died the cruelest, brutal and lingering death, from Thursday 27th to Sunday 30th May 1886. Left alone, in untold agony and without the consolation of anyone save his Lord and Master, Matthias suffered in silence both the excruciating thirst caused by the loss of so much blood, and the smarting pains of the wounds which had been inflicted over his whole body. Deprived of his limbs and attacked by swarms of flies and other biting insects, and exposed to the scorching heat, Mulumba lay suffering at his place of sacrifice for two full days, and on the second day, hearing human voices near, Matthias called out to them, and when they approached, asked them for a drop of water. But the men, instead of taking pity on the poor sufferer, ran away instead, fearing to come near such a spectacle any more. And thus Matthias, deserted by all, passed away in agony and went to his reward. Mulumba’s pains can better be imagined than described. And the heroism with which he bore his sufferings for two long days is beyond comprehension. God alone can know to the full the extent of the agonies of his martyrs; we poor mortals can only feebly imagine and less accurately describe them. Matthias Kalemba, the Mulumba, died, presumably on Sunday 30 May on Kampala Hill, now generally known as Old Kampala. It was then that the Chancellor learnt that Matthias Kalemba, whom he had so cruelly done to death a few days before, had been adopted and brought up by his own uncle, Magatto. On hearing this, he said, ‘If I had known that, I would not have put him to death, but I would have installed him in my household, and given him charge over all my goods, for I know that those who practise religion do not steal!’ Because of the newly discovered relationship the Chancellor ordered his brother to establish Matthias’s widow on their own family estate. Among those who have been baptized this morning there is one in whom the action of Grace has been truly apparent, namely the Mulumba, a man of about thirty to forty years of age (actually nearer fifty), who throughout his whole life has had a fervent desire to know the true religion. Naturally of a haughty and violent disposition, Matthias Kalemba began to school himself in Christian humility and meekness, even in the smallest details of his daily life. It was not, however, until two years later that Kalemba received the sacrament he so ardently desired. It was only then that, taking advantage of the permission given by Bishop Lavigerie to make some exceptions to the rule of the four years’ catechumenate, Pere Lourdel baptized four on 30 April 1882 and Pere Girault four more on 28 May. Both priests had the great privilege of baptizing two future martyrs, Pere Lourdel baptizing Joseph Mukasa and Andrew Kaggwa, and Pere Girault J: having in his group Matthias Kalemba and Luke Baanabakintu.